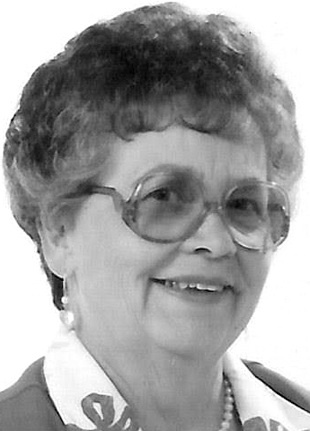 SUPERIOR LOCATION – Elvi S. Kangas, 88, a former resident of Superior Location, passed away Tuesday morning, November 15, 2016, at the Houghton County Medical Care Facility in Hancock, where she had been a resident for the past several years. She was born on December 28, 1927, in Trout Creek, a daughter of the late Anselm and Ida (Aho) Oja. She was a graduate of the local schools. Elvi was united in marriage to Howard Heckel and the couple raised a son together. She was then united in marriage to Eugene Kangas and he preceded her in death in 2002. Elvi had resided in Kenton, Ontonagon, Tapiola and Superior Location. She also was a resident at Bayside Village in L’Anse before moving to the Houghton County Medical Care Facility in Hancock for the past several years. Mrs. Kangas had worked at St. Joseph’s Hospital in Hancock as a nurses aide. She enjoyed working on projects such as sewing, crocheting and knitting. She loved spending time with her family and caring for her pet cats and dogs. She also liked to help at the Copper Country Humane Society. Preceding her in death were her parents; and her daughter-in-law, Karen Ann Heckel. Surviving are her son, Howard (Linda Perry) Heckel of Chassell; her granddaughter, Lynn (Mark) Taavola of Chassell; her great-granddaughter, Brittney (Justin) Rhorer; her great-great-grandson, Easton Avery Rhorer; her sisters, Eileen Bavin of Saginaw, Norma Miller of Bruce Crossing, Mary Ann Pietila of Wauwatosa, Wisconsin; and several nieces, nephews and cousins. Funeral services for Elvi will be held 1 p.m. on Saturday, November 19, 2016, at the Memorial Chapel Funeral Home of Chassell with Rev. Joe Iverson to officiate. Burial will be in the Elo Cemetery. Friends may call on Saturday, November 19, 2016, from 12 p.m. until the time of service at the Memorial Chapel Funeral Home of Chassell. In lieu of other expressions of sympathy, the family suggests that memorials be given to the Copper Country Humane Society or the Chassell Volunteer Fire Department/First Responders in memory of Elvi Kangas. Elvi’s family would like to thank Dr. Dewald and Joan Suits FNP along with the staff of the Houghton count Medical Care Facility for the care given to her during her stay. To view Elvi’s obituary or to send condolences to the family, please visit memorialchapel.net.